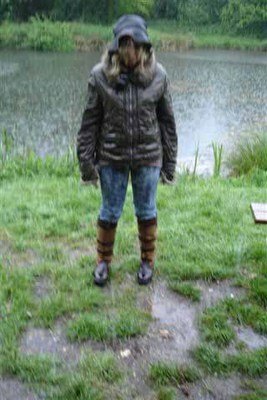 We all had a great day despite the aweful weather….The casting and fishing was going so well until the thunder clapped and the lightening flashed! 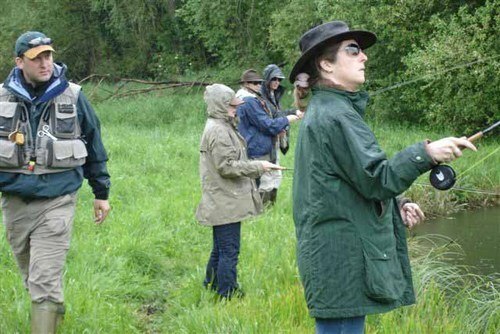 The Peat Spade lunch afterwards was great and we're all looking forward to the next Ladies' Day with the sun shining! 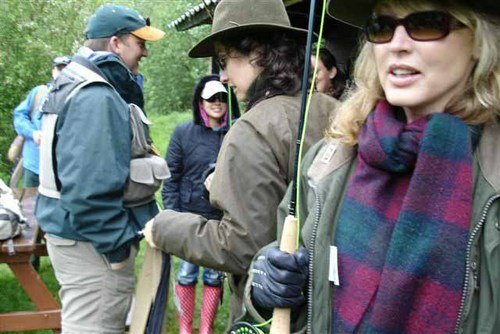 Ladies make excellent fly fishermen! Many of the largest game fish captured in the British Isles have been caught by ladies. The most famous, the British record salmon of 64lbs taken by Miss Georgina Ballantine at Glendelvine on the River Tay 7th October 1922 still stands today. On that particular day, Miss Ballantine had already caught three fine salmon of 17, 21 and 25lbs! Within two years, Mrs Morrison took a 61lb salmon from the Deverton and Miss Doreen Dover took the famous 51 pounder from the River Wye at Lower Winforton! In a sport often thought of as a male preserve, today there are over 300,000 women anglers! In fact, at the highest level over 150 ladies compete in the Ladies National Championships and their results match those of their male counterparts. 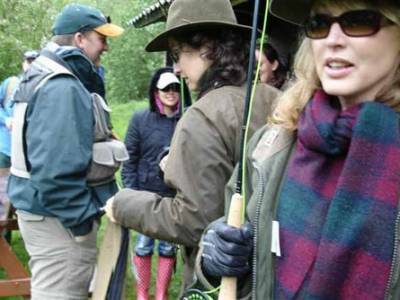 Famous fly fishing ladies have included, HRH The Queen Mother, The Queen, Diana Rigg, Faith Brown, Fiona Armstrong, and Jenny Hanley among others. 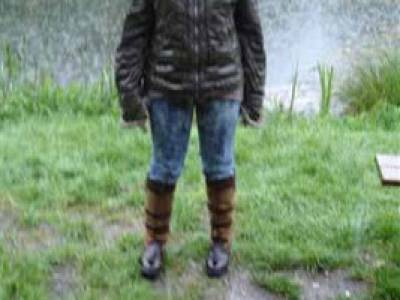 Fly fishing is male-dominated only by accident, not by design. The sport requires technique not physical strength Moc Moragn of the Welsh Salmon and Trout Association acknowledges. 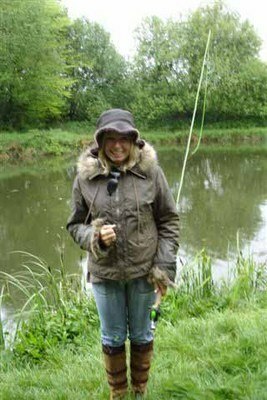 When they are good, women anglers are very, very good far better than most men for some reason. 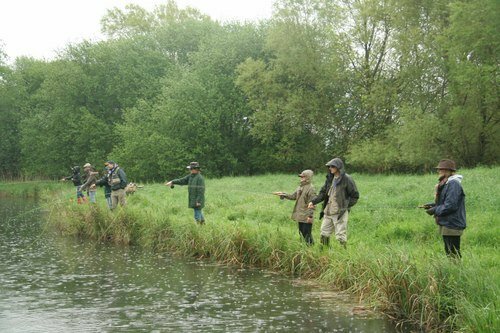 Come along to our private estate lake in the beautiful River Test valley and learn this most graceful and relaxing sport. 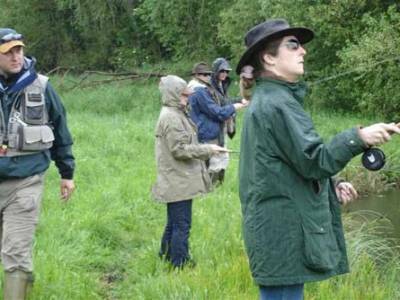 Let one of our professional instructors take you through the basics of fly fishing in a relaxed and informal atmosphere well away from the crowds. 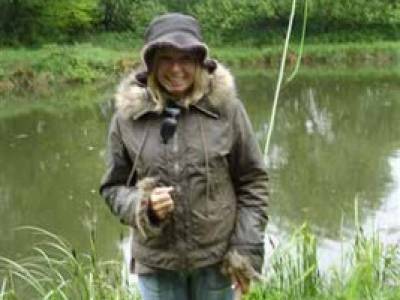 Use our top quality Hardy and Greys fishing tackle and surprise yourself at how easy fly fishing is to take up and enjoy. 9am – 9.30am. Morning coffee at The Peat Spade. Introductions to course instructors and fellow pupils. Drive to the lake (10 minutes away). 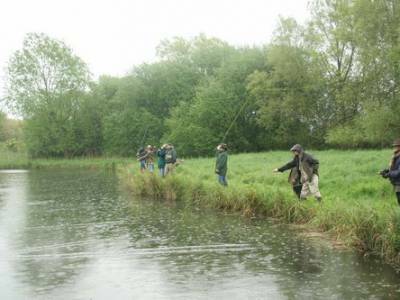 With fly rod in hand – learn how to set up your tackle. 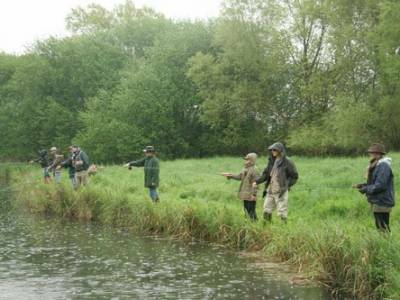 Go through the basic casts with an instructor. (Roll cast and overhead cast). Learn how to “match the hatch" with some essential entomology. 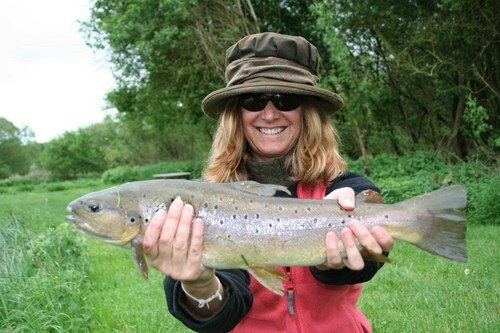 How to hook, play and land your first trout. Pack a trout or two to take home. Look at how to clean and prepare your catch for the pan! Book now, cost £145 per person. 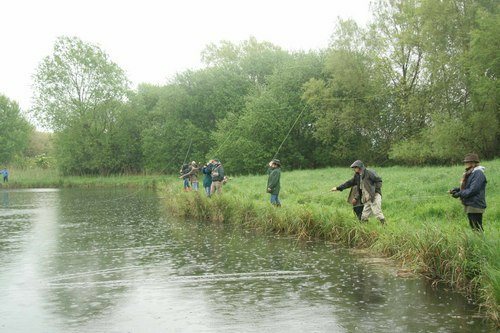 Including all instruction, tackle and EA rod licences. Sunday lunch not included.